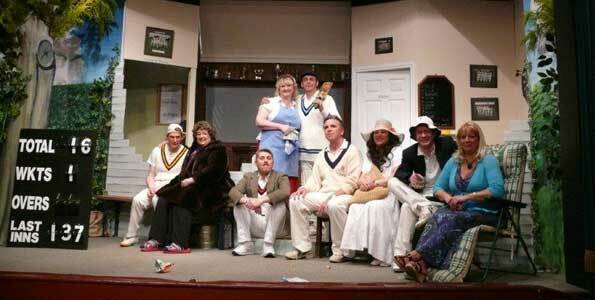 Set entirely in and around a typical English cricket pavilion, this amateur production of Outside Edge brings together five unlikely members of a village cricket team and their partners on the Saturday of a big match. 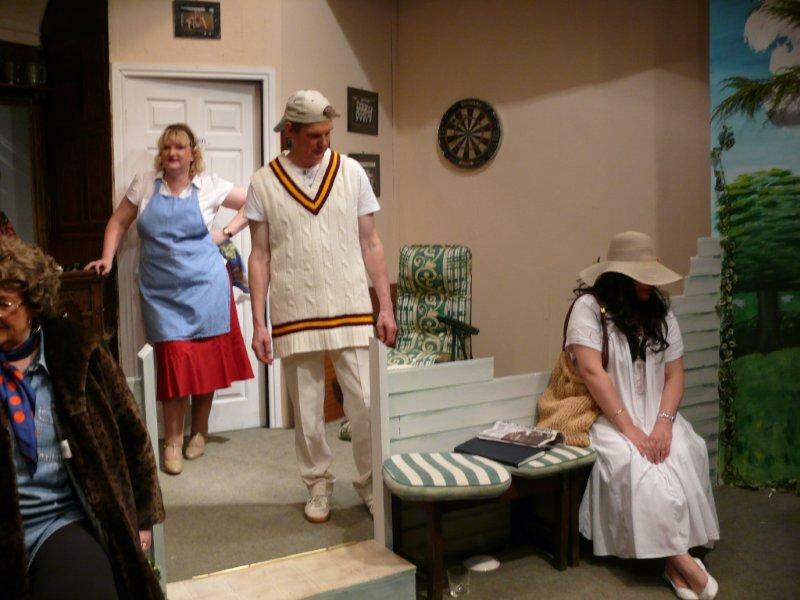 The play opens with Roger, the captain, ordering his dutiful wife Miriam around the club-house in preparation for the days match, interspersed with his catch-phrase, “Love you”!. Roger takes his job very seriously, but is having trouble assembling a team to play. As the action unfolds, the tense and humorous relationships between the characters become increasingly fraught, while team captain Roger, oblivious to the problems around him, struggles in vain to steer his players to victory. Lawrence Chandler gave a strong and confident performance as the hapless captain Roger, while Fiona Minay as his long-suffering wife Miriam settled well into her demanding role. Tom Brown, as Bob, was a suitably shifty philanderer, and Jan Richardson-Wilde gave a good performance as his wife Ginnie. Paul Richardson came across well as Dennis and Paul Illingworth brought out the character of the self-obsessed Alex, with Julie Smith as his abandoned girlfriend Sharon. Praise also to the direction of Pam Westgarth and Di Peat, the impressive cut-away set and the usual strong organisation front of house who combined to provide a fine evening’s entertainment.